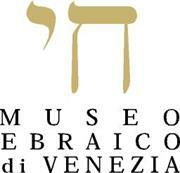 PRIVATE GUIDED TOUR TO THE SYNAGOGUES Guided tours with a personal guides for single visitors or groups to the synagogues and /or to the Jewish Museum of Venice. You cannot pull over, anyway the soul of the Jewish quarter, if not leaving from the synagogues, the synagogues of the New Ghetto are on the top of the pre-existing buildings and are hardly recognizable from outside, while inside they reveal themselves as small jewels. There are five synagogues in Venice, all built within the 16th century; three or even four of them can be visited with private guided tours. The private guided tours can be in English, French, German, Spanish and Hebrew. They are effected throughout all the year except on Shabbat and on Jewish festivities with a previous booking. The guided tour to four synagogues lasts 1:30h about and costs 120€ plus the single tickets: 10€ (full price), 8 € for children and students until the age of 26 and groups over 20 people, members of Italian Tourism Association, members of Fai (Italian Heritage Fund), member of Coop and of ICOM, journalists), 7€ for the Venice City Pass (“Venezia Unica”) holders. The guided tour to four synagogues and the museum lasts 2hrs about and costs 170€ plus the single tickets: 10€ (full price), 8 € for children and students until the age of 26 and groups over 20 people, members of Italian Tourism Association, members of Fai (Italian Heritage Fund), member of Coop and of ICOM, journalists), 7€ for the Venice City Pass (“Venezia Unica”) holders. Please note: groups must be no more than 30 people.